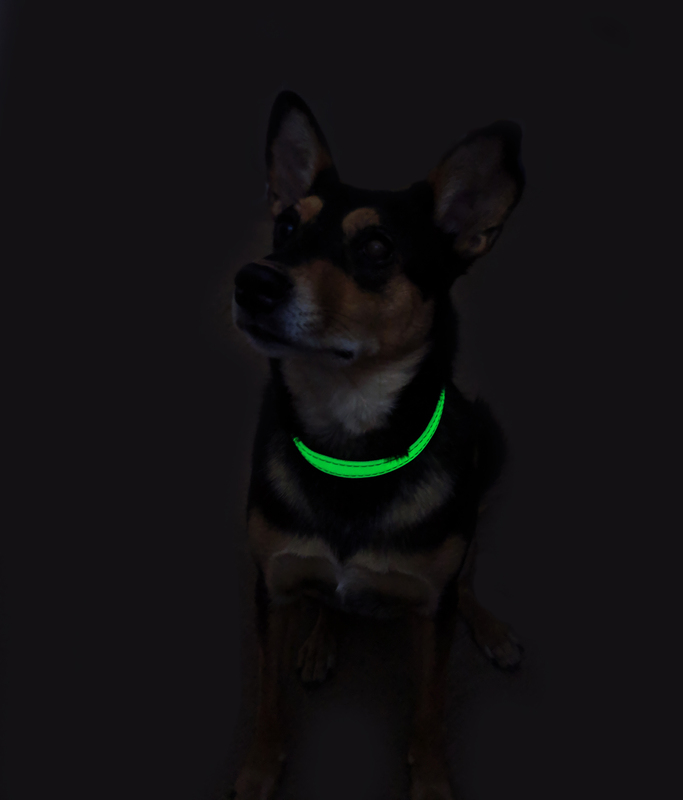 Glow Dog Collar - No Batteries. No LEDs. No Hassle. Glows in the Dark. 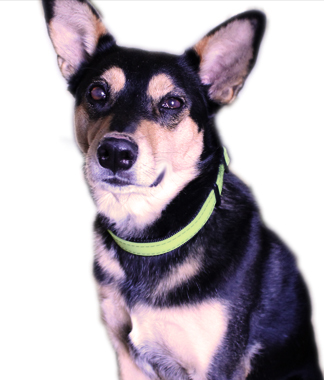 Size: Medium: 21" to 15" Large: 21" to 24"
UVPaqlite's Glow in the Dark Dog Collar: The collar is made from non-toxic glow in dark crystals that absorb ANY light to recharge. Just the ambient room light, sunlight, or even the light from a flashlight will make the crystals glow. The crystals recharge quickly and will glow all night long. 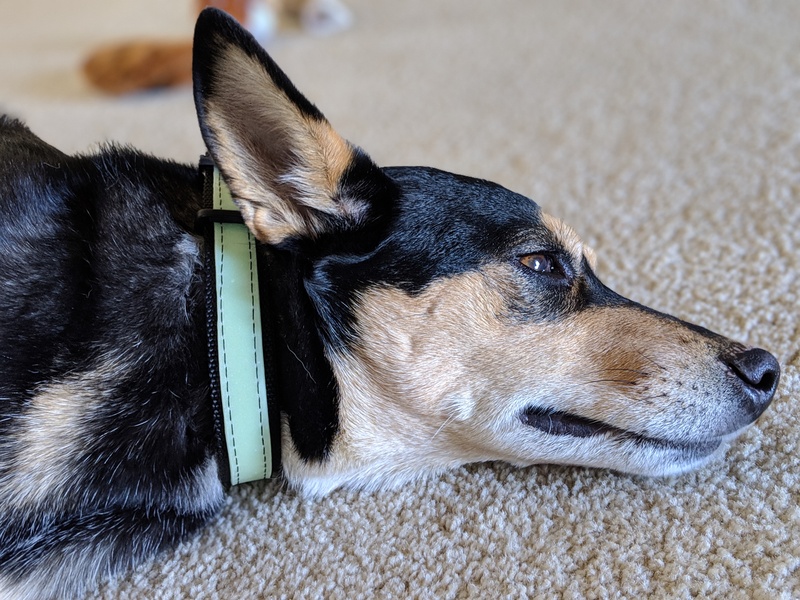 This collar is 100% waterproof and never uses batteries. 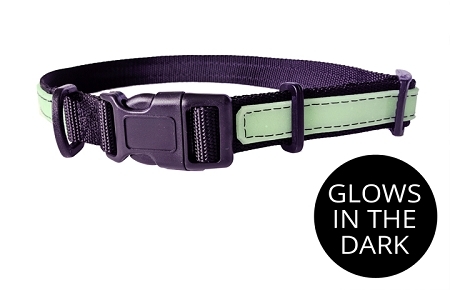 It helps prevent tripping over or sitting on your pet by illuminating their location in the dark. I got a prototype to test for UV Paqlite before they were available. I LOVE it. I'm so glad they finally came out with this, I've been waiting for 6 years. It was worth the wait. I tried to make something similar to this years ago but UVPaqlite came out with this, and it’s amazing! It stays lit all night and I can see it on my dog when I wake up in the morning (not super bright but enough that you can see where it is). No more tripping over the dog in the middle of the night! 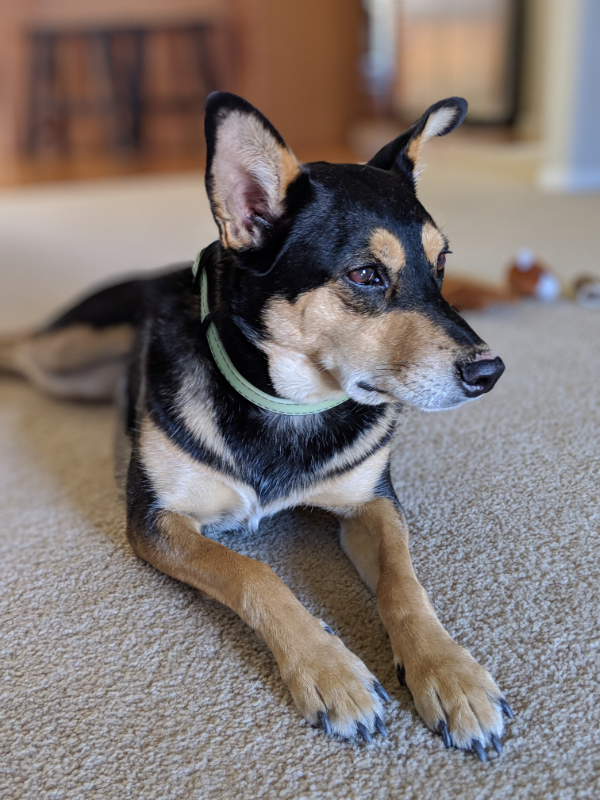 Or when we let him outside at night, we’ll be able to see where he is in the yard (helps to charge the collar with a UV light first). Awesome product by awesome people.